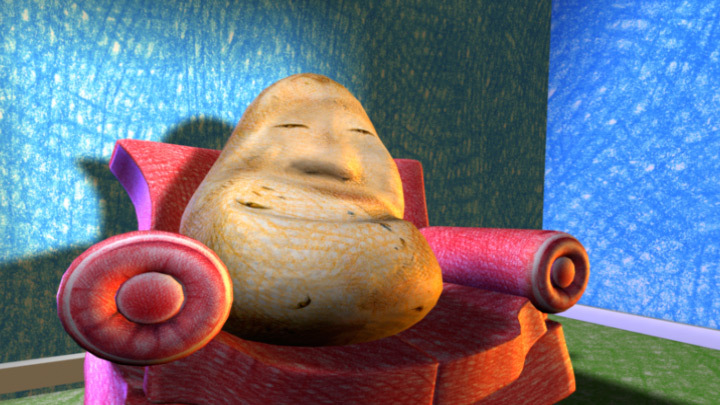 Neumatic created this cuddly and comedic couch potato animation as part of a larger tv commercial. 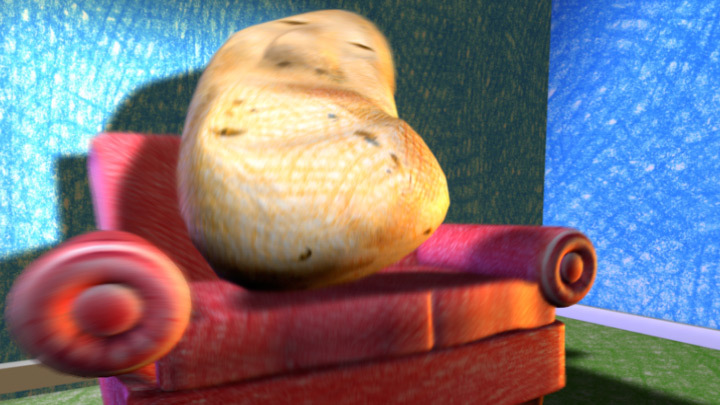 A humorous exchange between a Potato and a Couch. 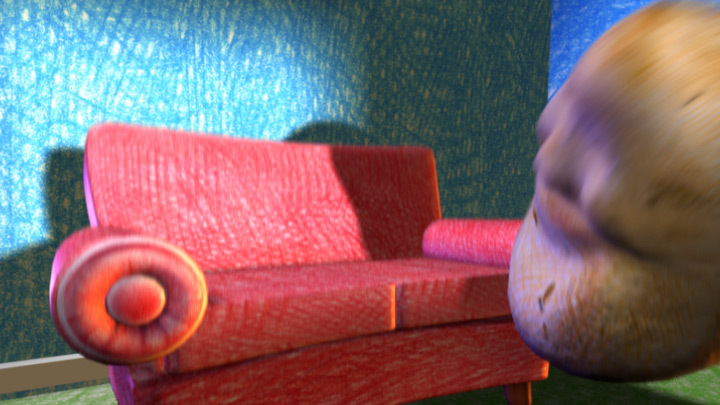 We wanted to create a hand drawn quality to this animation. 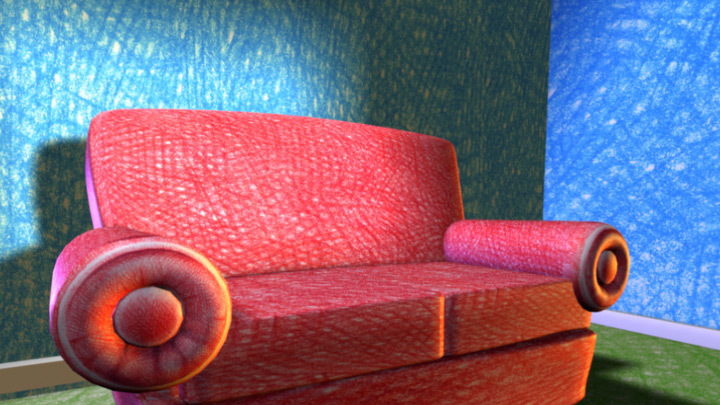 We used hand drawn pencil texture maps to give the characters and environment an illustrated feel. 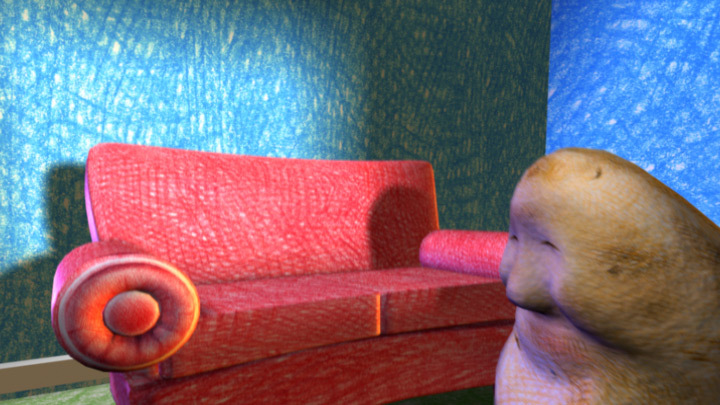 The Couch and the Potato become the two characters of the video with the Couch cringing before the Potato plops onto him. Short but sweet, this video takes a common expression and gives it new comedic life.